A collection of recipes for delicious things. 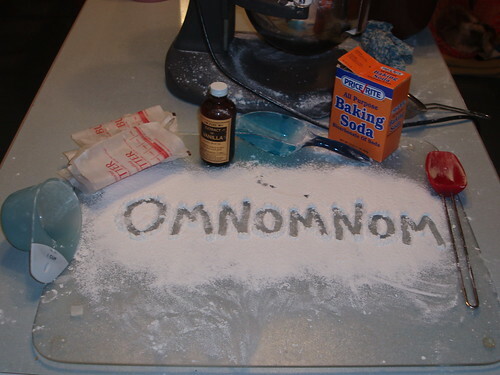 omnomnom aims to be a collection of nom-tastic ways to make food. Please put your recipe under a cut. A quick description/shill for the recipe outside are fine (and encouraged!) but everything from the ingredients list to "...and then you eat it!" should be under a cut. A tl;dr version can be found here. This is recommended reading for anyone new to the community, though 95% of what's there is common sense. Tagging is open to all members, so if you think a post needs a tag, feel free to add it! Be reasonable, and try to stay within the general guidelines as presented in the tl;dr post. Looking for something? Check out the tags, or use the community search function. Your moderator this evening is zarhooie. If you're looking for a place to ask basic questions ("How do I crack eggs?") or find basic recipes ("How do I cook eggs once I've cracked them? "), go check out boilingwater.